I mentioned that the foundations of my fitness research starting back in 1987, was placed on Lee Freedman's training skills. Now back in the training ranks, I will follow most of his horses. Had two bets this week on his super fit horses and both won. Got $7.50 and $2.70.....it's easy if you can rate his fitter horses. No 13, $107.00, won at the valley on Saturday night, I rated it 20/99% fit and watched it win, without a penny on it. Just too tired after work to log in to bet. TVN is in a mess and interesting to see if they see the light out, not a good thing if they close down, just need complete sackings of administrators and stop paying the boys. Did u read how 2 current committee board members of two city clubs, have been on $10K - $30K PER MONTH CONSULTANCY HAND SHAKES FOR 10 YEARS WITH TVN!!!!!!! THAT is a criminal offence to me! I was doing a draft about Scanfit and word check fixed my miss spelling, surely Scanfit not in the dictionary, now???? Keep punting and keep on rock in. A veiw of racing in the USA, probably on the go here, no bookies, no punters oncourse, decaying standards not up to our yet. How to rate a horses blood count today, go to documentaries. Its the only way to win! RACING Victoria have opened an inquiry into elevated cobalt levels in two horses trained by Lee and Shannon Hope. RV chairman of stewards Terry Bailey said stewards had received a report from the Racing Analytical Services Laboratory confirming positive swabs returned by Windy Citi Bear and Best Suggestion. RASL reported that the pre-race urine samples taken from both horses contained cobalt at a concentration in excess of 200 micrograms per litre in urine, which is a prohibited substance in accordance with the Victorian Local Rules of Racing. Earlier this year RV stewards set a cobalt threshold level of 200 micrograms per litre in urine. The sample was taken from Windy Citi Bear when the gelding ran fifth in the Charles Rose Jewellers 3YO BM78 Handicap at Geelong on June 25. Best Suggestion returned a positive when the gelding ran eighth in the sportingbet.com.au Handicap at Caulfield on July 5. Bailey said stewards are continuing with its investigation. MELBOURNE, Jan 8 AAP - The Anthony Freedman-trained stakes winner Minaj has returned a positive swab from a race at Moonee Valley in October. 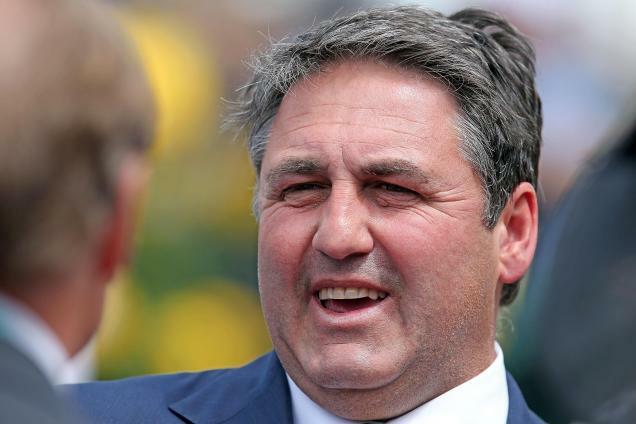 Racing Victoria stewards have told Freedman of the findings from Racing Analytical Services that a pre-race urine sample from Minaj on October 25 contained the banned substance Dexamethasone, a short acting corticosteroid. Minaj, a dual stakes winner, finished sixth in the race and stewards are continuing an investigation. Freedman now trains with his brother Lee in a partnership which commenced in November. losing the plot and family issues. His fitness ratings will be the foundation of my pro punting this year, as I know how to rate in fitness his horses. Why would anyone want to jump in bed with TVN! They are dreaming and am sure that 7 would be seriously watching what a bunch of donkeys these blokes are. It's a pity some jobs will be lose, not a good start for some to the new year. VICTORIA will attempt to recruit other states to fill the void left by TVN’s split with Sky Channel. The Herald Sun understands that South Australia, West Australia and Tasmania are future targets to pad out coverage on TVN, which is to solely host Victorian meetings following the inability of Sky and TVN to agree on a fee for race vision. TVN, in its current form, will continue for no more than a month before its future is determined. Racing Victoria is determined to have various media components brought under the one roof, including racing.com, radio station RSN and the key elements of TVN. TVN’s on-air talent, particularly those in Sydney — which is solely the domain of Sky — are extremely concerned about their futures. It is believed TVN’s online news site, racingnetwork, is unlikely to survive, as Racing Victoria has its own ever-expanding site, racing.com. “Their only chance is if the channel continues to exist in the future,’’ a source said. The expansion of Racing Victoria’s media arm will provide some TVN talent with employment chances, the source said. In other developments, it is likely Victorian pubs and clubs will be providing Australia-wide coverage within a fortnight, with pictures provided by TVN to be shown on one of Sky’s three channels. Racing Victoria believes one positive to come from the split with NSW is the “freeing up’’ of the busy race clock on Saturdays. “At the moment trying to get 30 or 35 minute gaps is constrained by Sky and all of their obligations to each state,’’ the source said. South Australia and West Australia are not locked into the same long term contracts with Sky as NSW and are regarded as valuable but not essential future partners. Adelaide, which attracts more Victorian runners than Sydney on most Saturdays, is believed to be of great interest as the Victorian industry attempts to use the split with Sky as a clean slate to provide more innovative racing coverage. Racing Victoria meets today with Victoria’s key race-clubs, and TVN stakeholders, in a bid to establish some clarity over the future not just of TVN but of future wagering partners and exposure of racing. “We need to establish that all Victorian clubs are united, how Victoria is going to take its rights to the market,’’ a source said. Exploring ways of expanding racing to a new audience, including digital opportunities with corporate bookmakers and free to air opportunities, will also be discussed.